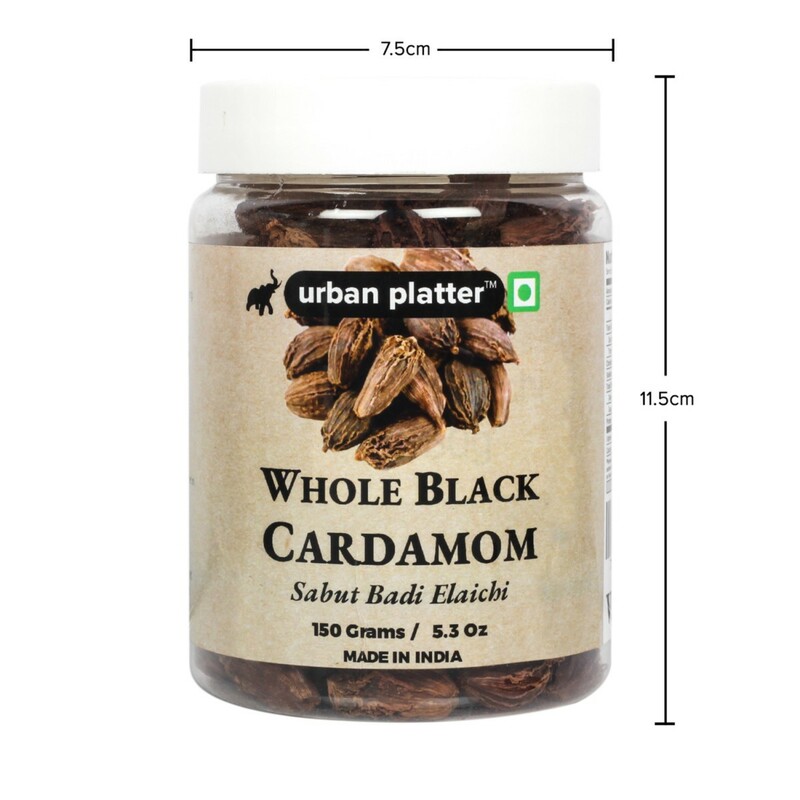 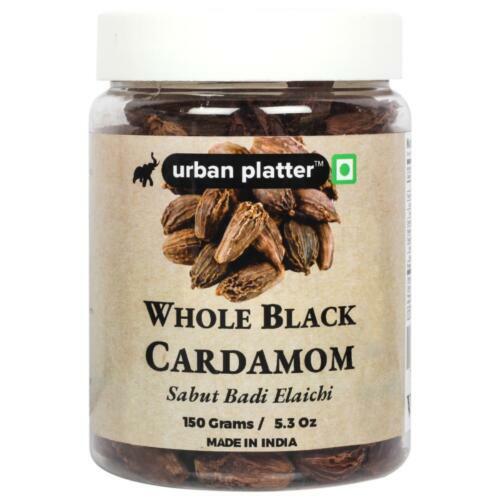 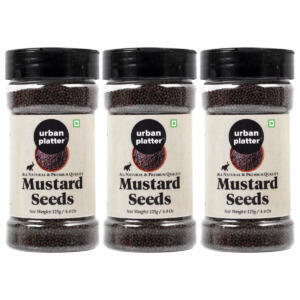 Urban Platter Whole Black Cardamom (Sabut Badi Elaichi) has a strong, unique taste, with an intensely aromatic fragrance. 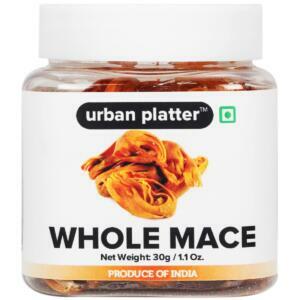 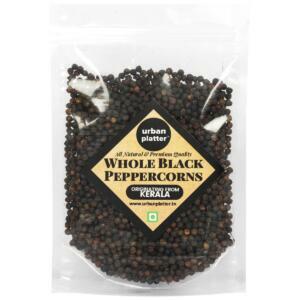 Referred to as the "Queen of spices" one of the most common Indian spice found in the pantry. 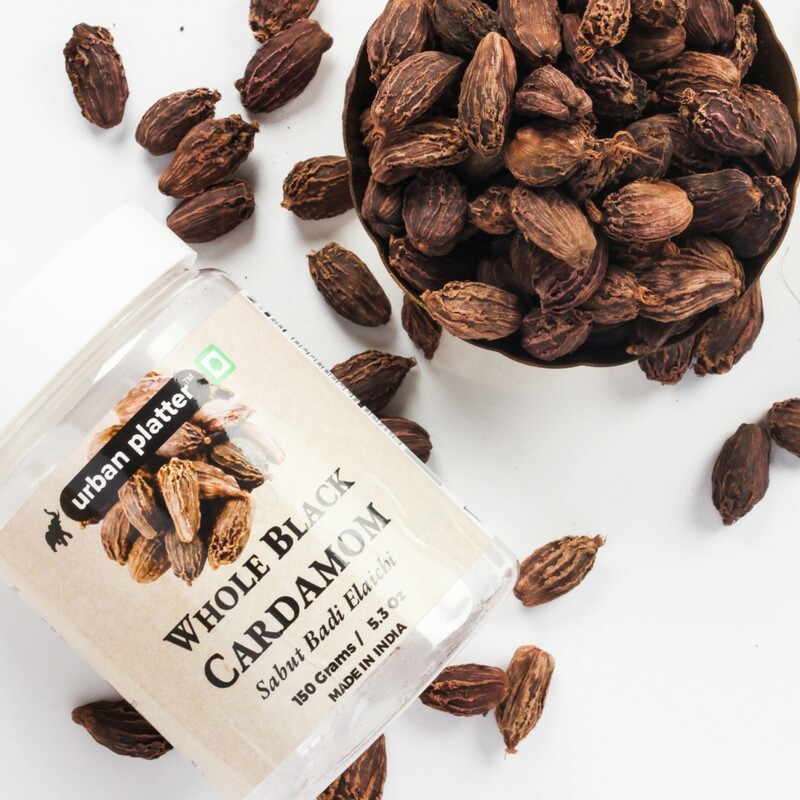 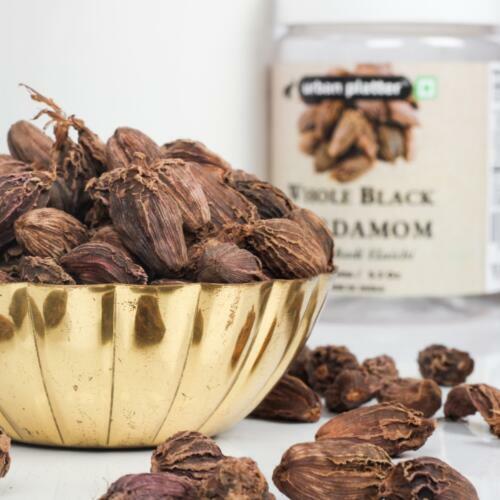 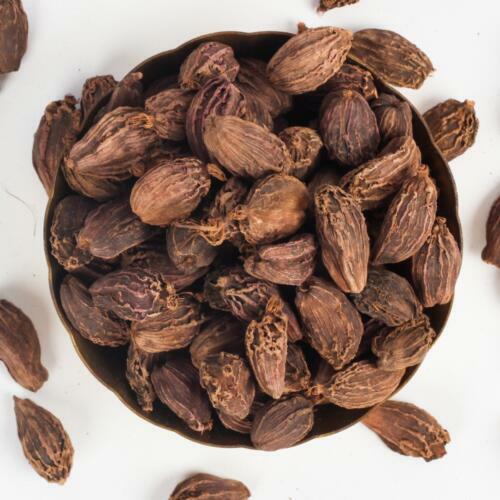 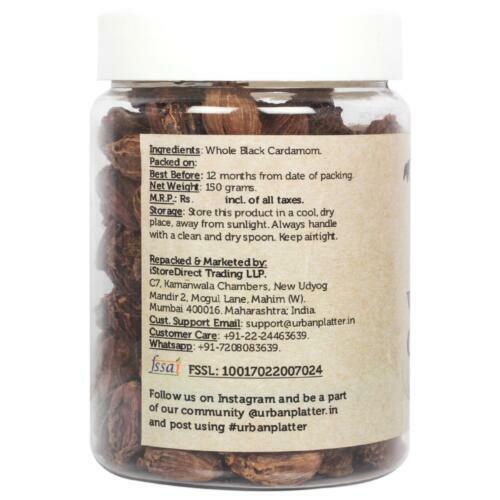 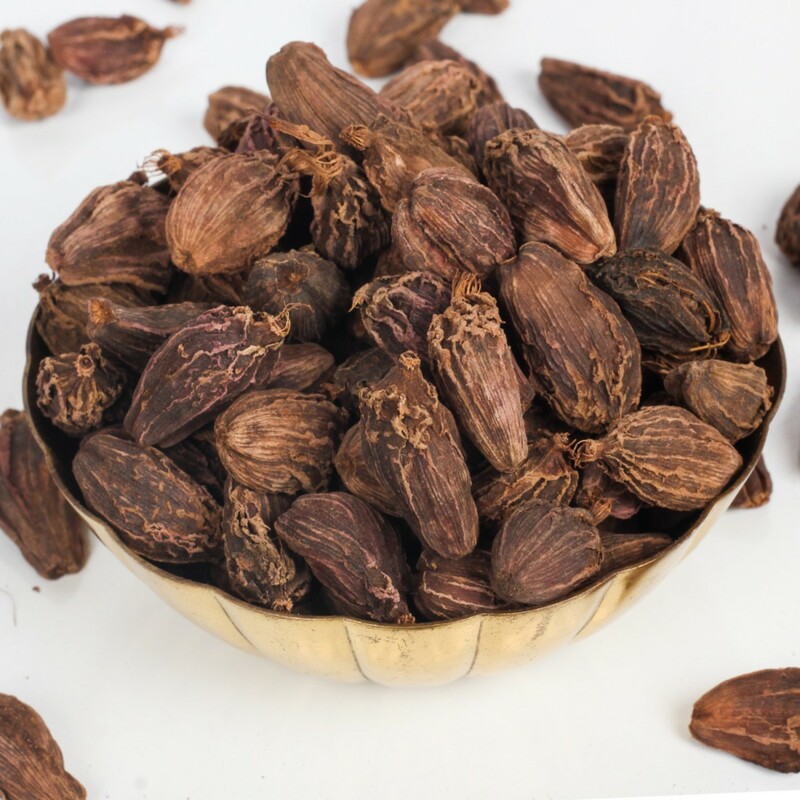 Black Cardamom has a earthy flavour and extremely powderful Aroma. 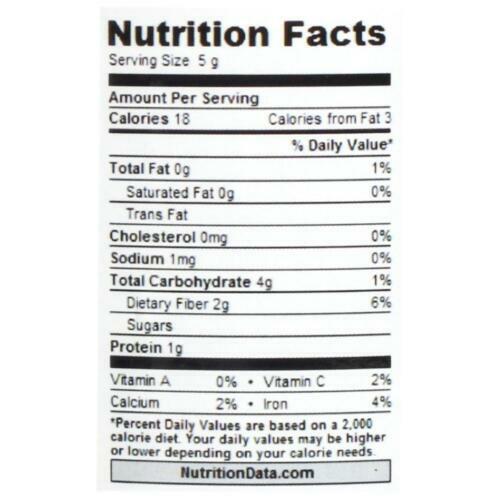 Add to your baked goods, sprinkle on your oat meals, brew some cardamom tea. 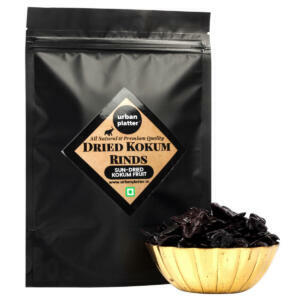 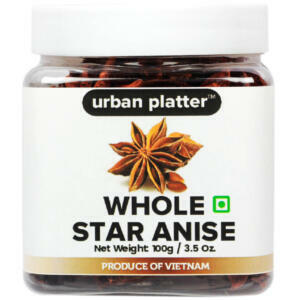 Popularly used in Biryanis, Spice Blends and Indian / Arabic Cuisine to flavour curries. 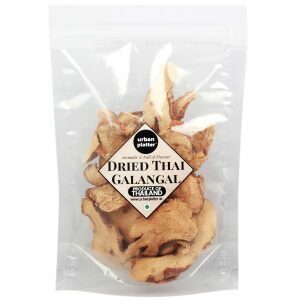 Has a strong, unique taste, with an intensely aromatic fragrance. 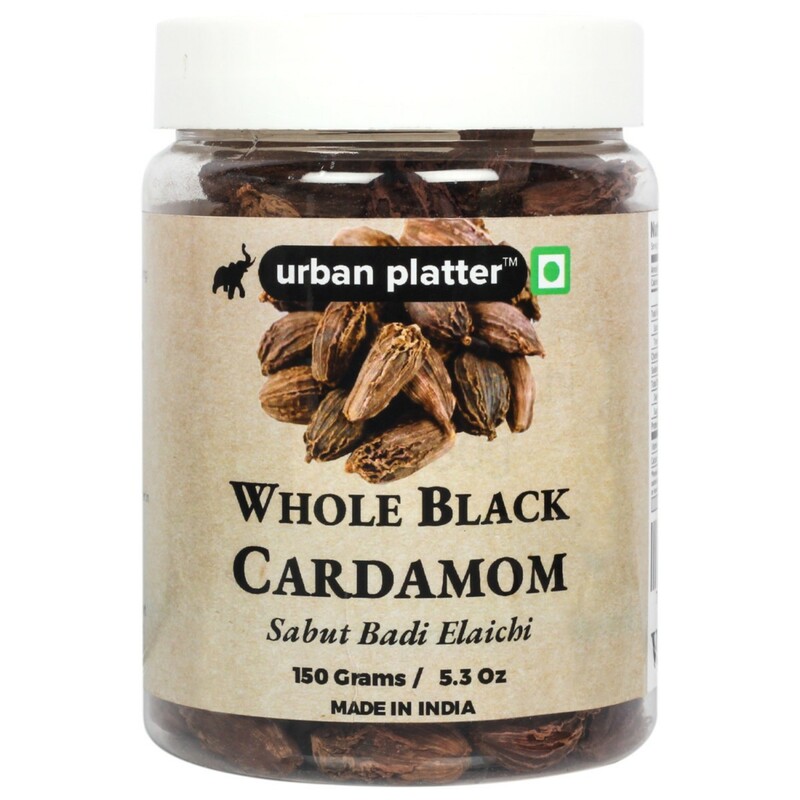 Add to your baked goods, sprinkle on your oatmeals, brew some cardamom tea. 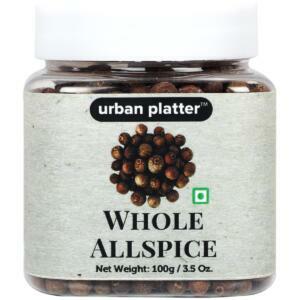 Popularly used in Biryanis, Spice Blends, and Indian / Arabic Cuisine to flavor curries.